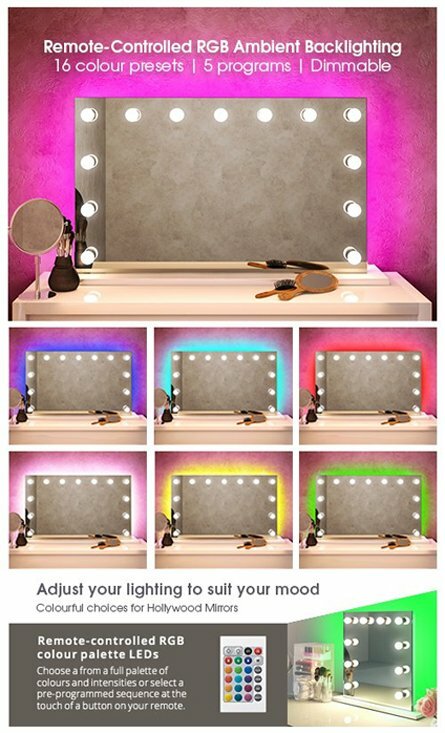 The beautiful Star Tall LED Light Bathroom Mirror with Glowing Glass shelf bedazzles with its stellar lighting. The softer lighting effects bring a sense of magic and intrigue to a bathroom with the beautifully arranged highly efficient LEDs. Its longer viewing surface gives a fuller length view, and the fantastic glowing shelf is a beautiful feature, adding practicality and resplendence. The crystal clear heated demister mirror will never steam up, staying fog-free thanks to the in-built demister pad. 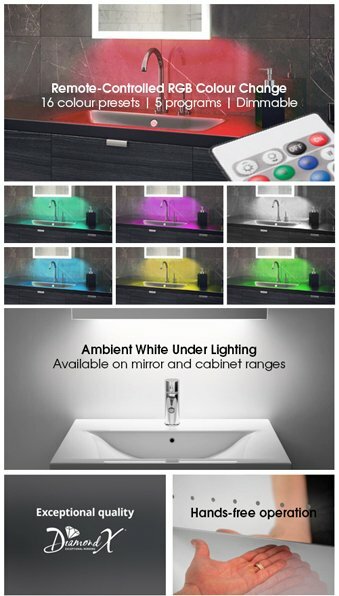 At the base of the mirror is a touch-free infrared switch to control the lighting, and to the side is an independently operated 240v socket for toothbrushes and shavers. 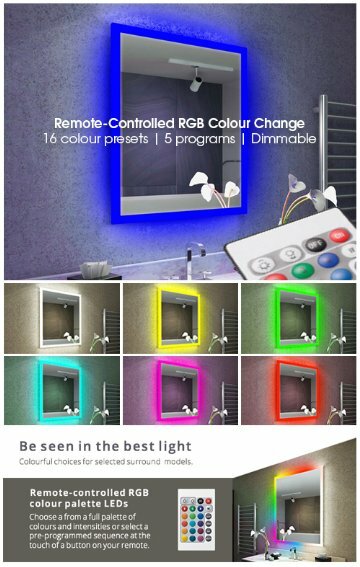 So if you’re looking for a beautiful illuminated bathroom mirror with shaver socket, this magical model really does make for a great choice. Are you fed-up of waiting for your bathroom mirror to demist after a bath or shower? - It's never a problem with this mirror! 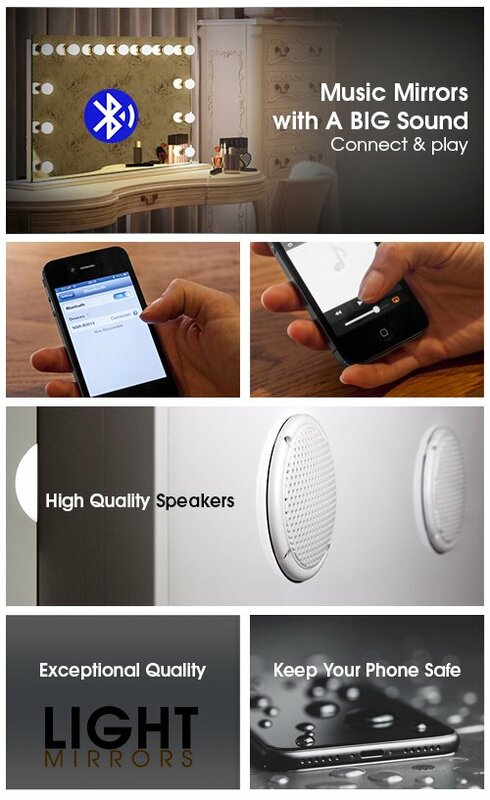 It includes heated anti-mist technology that prevents steam build up. Leaving you with a completely clear reflection, no-matter how much steam is in the air. This mirror is fantstic value for money and totally completes the glamourous hotel look I was aiming for. Perfect size, great quality and impressive non-mist & sensor operated accessory with the additional benefits of having a discreet toothbrush charging point & shver point! Mirror used in en-suite bathroom in B&B - fantastic quality, looks great and love the extra touches such as de-mister pad, sensor switch and shaver socket - perfect!